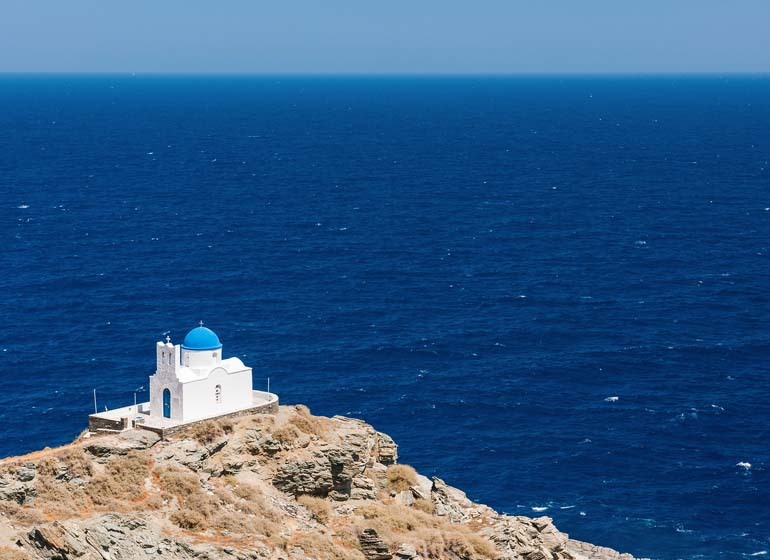 The Greek island of Sifnos is a place of Greek mythology and idyllic island life. It is an island where charm, natural beauty, and stress-free enjoyment are blended together to create the ideal eco-vacation. There are 200 inhabited Greek islands glittering in the Mediterranean, and one promises visitors something that is very difficult to find today – a stress-free eco-vacation. On the island of Sifnos, the flower-filled, charming capital city of Apollonia, the glittering Aegean Sea, an ancient history filled with Greek gods, beaches, Cycladic villages, and a friendly population blend together to create a place that makes liars out of people who say such places no longer exist. For the eco-traveler, this is paradise lost because life is slow and beautiful, and people are appreciative of nature's beauty. An enjoyable five-hour ferry trip from Athens places visitors on the island – a place where many say they never want to leave.